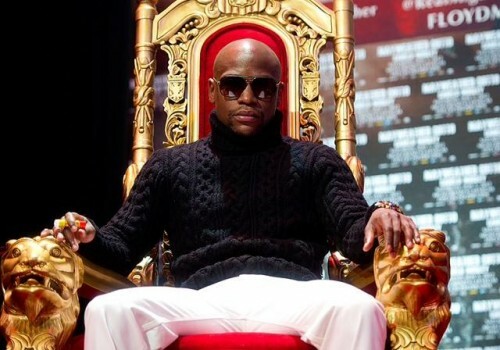 Boxing champ.Floyd Mayweather Jr. has ended Tiger woods ten year reign as the highest earning athlete on forbes list. Floyd Mayweather Jr. “Money fought twice during the past 12 months, knocking out Victor Ortiz in September and winning an unanimous decision in May against Miguel Cotto. Floyd's combined payday for the bouts :$85 million makes him the highest-Paid athletes unseating Tiger wood who has been the Top earner since 2001. Tiger Woods’ total earnings dropped $16 million from last year to $59.4 million making him the third highest-paid athlete. Miami Heat's basketballer Lebron james ranks fourth with $53M. The figures include salaries, bonuses, prize money, appearance fees, as well as licensing and endorsement income for the 12 months between June 2011 and June 2012 .